Having tried everything from waxing and threading to the full HD experience (read about it here! ), I'm always on the lookout for the next big thing in brows. In Dublin right now, that would be the new Shu Uemura Tokyo Brow Station in Brown Thomas - so I popped in after work on Friday to check it out. 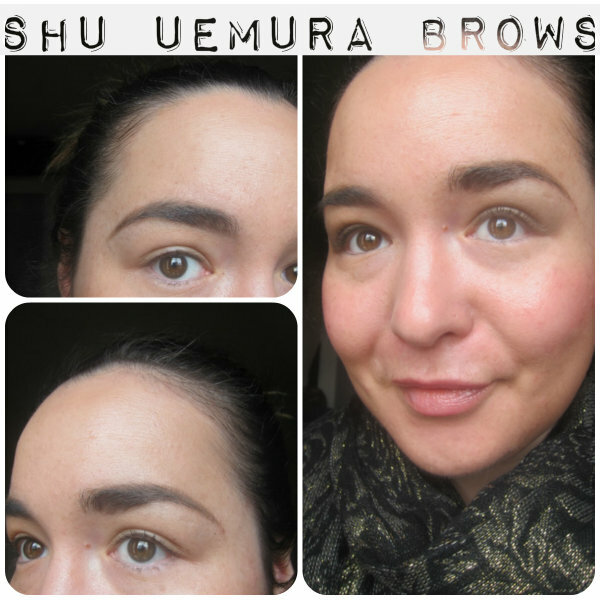 The Shu Uemura approach involves measuring the proportions of your face with a protractor (! ), before brows are 'manicured' with a set of specially designed, curved scissors. The idea is that this will be kinder to the skin around your eyes than other methods - though any rogue hairs remaining will be gently tweezed. My brows were finished off with pencil and, 10 minutes and €20 later, I was good to go. I liked that they kept the fullness in my brows while tidying them and slightly defining the arch. The shape is natural but groomed, and should be easy enough to maintain. I was less keen on sitting at the counter in the middle of a busy makeup floor - but for good results at a reasonable price, I think I can deal. Are you big on brows? How do you keep yours in check? I agree - your brows look natural but also very polished. p.s. I wish Chanel Printemps was available around here! I'm a bit fussy about my brows, won't let anyone else touch them, so I shape/tweeze mine myself. I absolutely LOVE the way they've done yours Emma. It does make sense to take into account the proportion of your face. They did a great job. I have dark full brows (got it from mah momma ;-)) and I have a love-hate relationship with them. I actually have my first beauty appointment here in Switzerland today to get the shape back in a bit. I hope they'll be able to handle my unruly brows! They look great! I would definitely do this. Trust the Japanese to make it scientific! Your brows look fantastic Emma, it's very interesting that they use a protractor to measure the proportions but I suppose brows are very underestimated in how the can completely change the shape of your face. I think more than anything else it's so important to have your brows shaped and done properly. I try to keep the tweezing to a minimum but I do like big brows, I know they don't suit everyone though! Oh and I can totally relate to not being keen on having it done in the middle of lots of people! Yes, the eyebrow shape looks perfect on you! Would love to try this too.